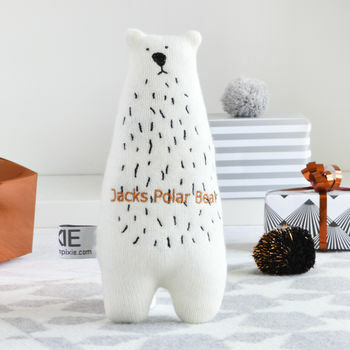 A gorgeous contemporary personalised polar bear, handmade from soft luxury lambswool and embroidered with black and metallic copper thread, a perfect gift. 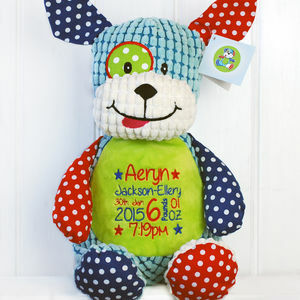 This lovely modern bear is a brilliant childs gift especially with the child's name or nickname embroidered onto it. 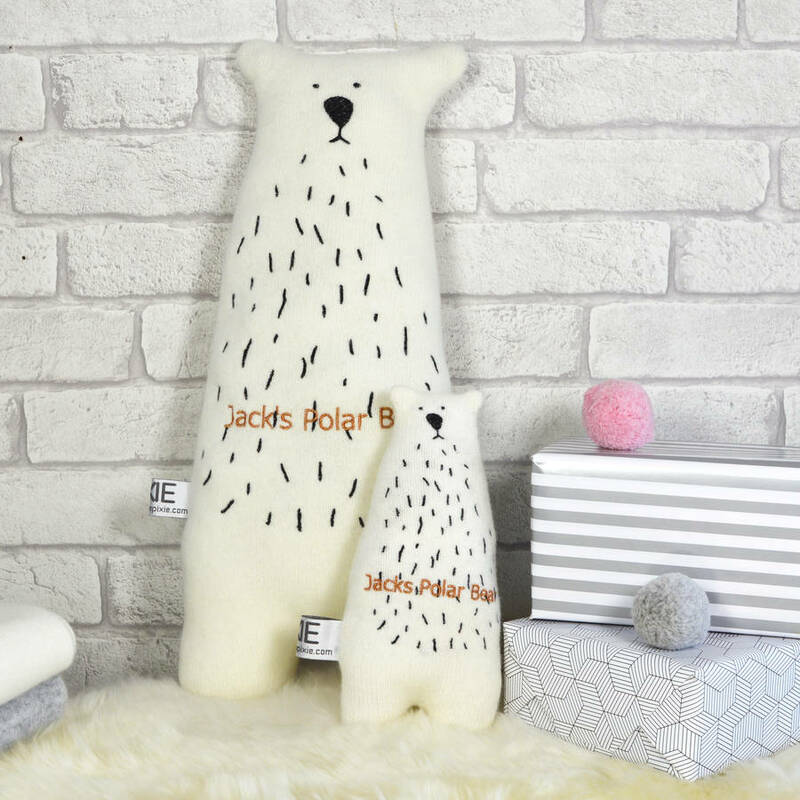 A simple contemporary design, these bears are made by hand in our studio from beautifully soft and fluffy luxury lambswool that is sourced from a spinner of fine yarns based in the Yorkshire Pennines with a history dating back to the 1700s. 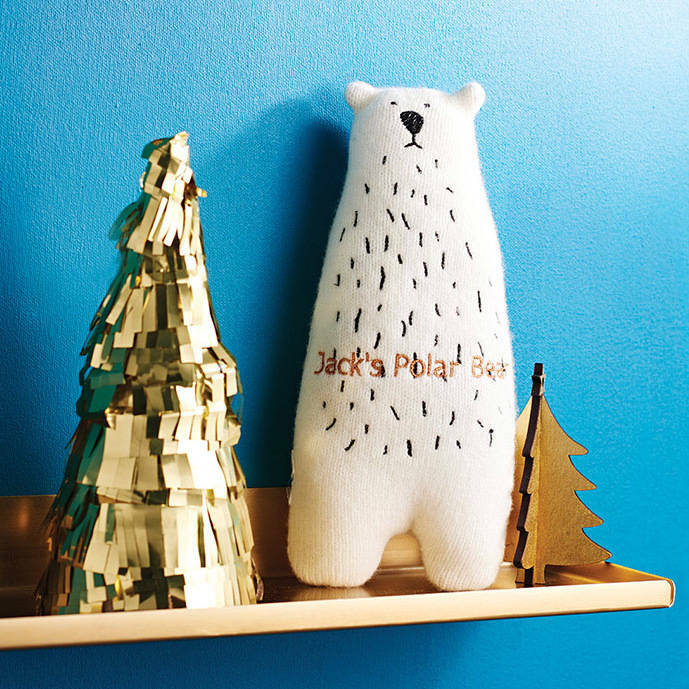 You can upgrade to the Large Polar Bear, which is double the size and made with the same luxury lambswool yarn and beautiful embroidery. 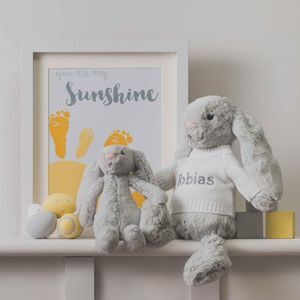 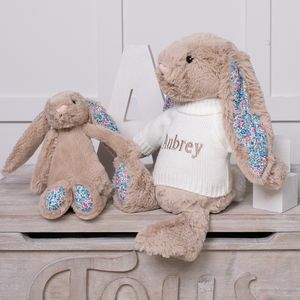 Both sizes of this lovely polar bear can be personalised with a name, date, nickname or anything you like up to 18 characters in upper case, lower case or a mix of both, including numbers. 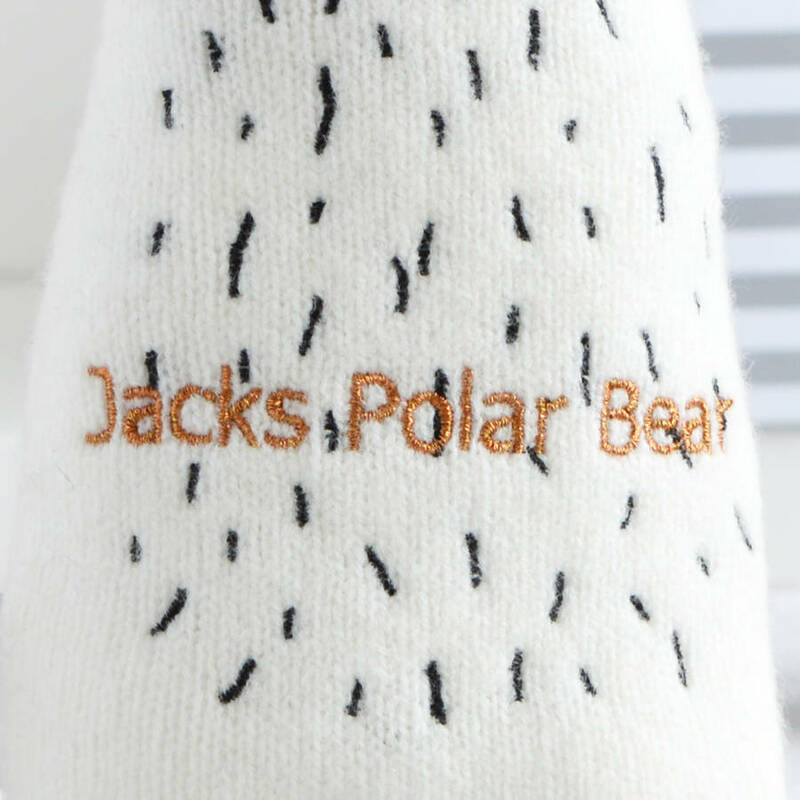 Please type the whole personalised message you would like: for example, if you would like the personalisation to read "Jack's Polar Bear", please type "Jack's" and the words "Polar Bear" in the personalisation box. 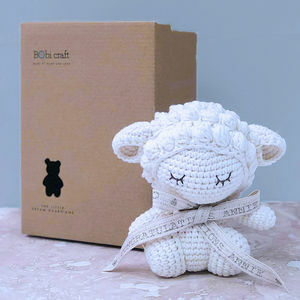 The bear is made from 100% luxury lambswool and is lovingly handmade in our studio in Buckinghamshire.